Sunday, October 1st, we will celebrate a day we have been dreaming about and planning for over the past five years. 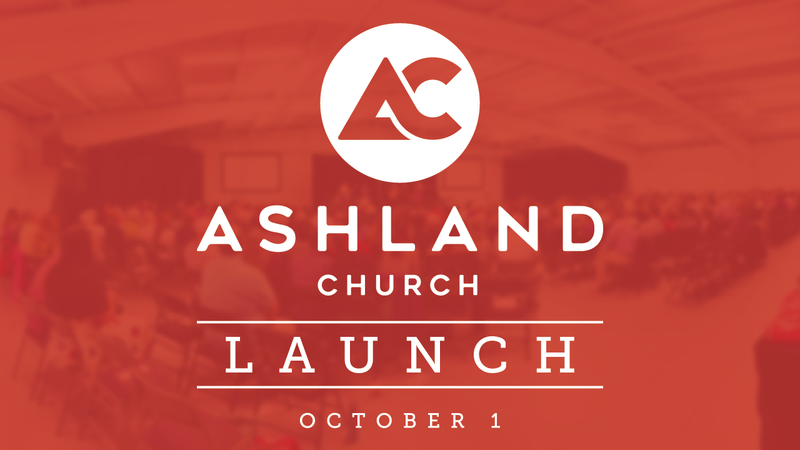 We will have a combined campus worship service we are commissioned for launch as Ashland Church. During that service the offering given will be designated for Ashland Church’s start-up funds so that we begin our year on stable financial footing. After the service lunch will be catered in as we continue to celebrate by sharing a meal together. The cost of the meal is $5 per adult (18+). All children and young adults younger than 18 eat free. You will not want to miss this exciting day as we celebrate how God has blessed our efforts to plant a thriving church in Madison County.